I have one of those camera modules with 2 infra red leds and I was trying to start using it when following a tutorial the wrong way I accidentally plugged the wire strip to the display strip port on my Model 3B+. The board immediatly rebooted (short?) and now everytime I turn it on nothing happens apart the red lead turning on. No activity at all. Have I killed the board? Is this fixable? Thanks in advance! I appreciate your time. Plugging in to the wrong connector on your pi probably shorted something hence the reboot, as you still have the red LED lit my guess would be the 3.3v has been shorted and no longer works. if you have a digital volt meter you could check this by connecting the meter between the 3.3v gpio pin and a ground, being careful no to short any pins to adjacent ones. If there is no 3.3v then the pi is dead and the only option is to buy another. If you do have 3.3v on the relevant pin then try re-flashing your SD card. Thanks mate for the fast reply! Well ... bad news for me I guess. There's no 3.3V on that pin. The 5V pins are outputing 5.25V. I'll have to grab myself a new board. Kind of weird as there's no protection against this as I'd say doesn't seem a rare accident to happen since the camera and display wire strips are the same size. Do keep in mind that we're talking about a $35 computer. Some things on Raspberry Pi computers are not tolerant of ID ten T errors. 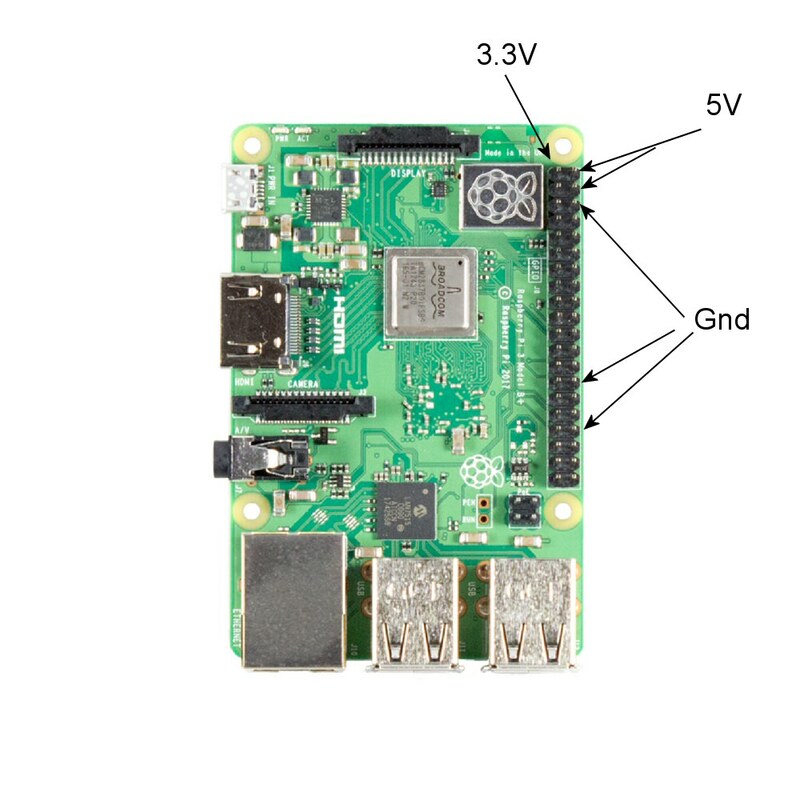 The Pi is quite robust in many ways (ESD for example), but quite fragile in others (GPIO is also not very forgiving of improper connections). The PMIC on the 3B+ is supposed to have over-current and short-circuit protection which should help mitigate these sort of mistakes. Why it sometimes doesn't is something which the Foundation are investigating. And it's not always possible to protect against all kinds of mistakes. I think you mean it's supposed to tolerate shorting 3v3 to ground, according to the data sheet, at least. [The PMIC on the 3B+ is supposed to have over-current and short-circuit protection which should help mitigate these sort of mistakes. Why it sometimes doesn't is something which the Foundation are investigating. And it's not always possible to protect against all kinds of mistakes. It is supposed to cope with the 3.3V being shorted to ground. At least some of the reported failures have been when the 3.3V output is shorted to the 5V line. However, as stated, it is under investigation. A hard short to ground would be an extreme it would be expected to mitigate but there's a range of fault conditions the PMIC appears intended to mitigate, and it would seem one of those conditions has occurred if the PMIC has consequently failed or borked itself and no longer powering the Pi. One would have to determine exactly what the failure mode was, what the consequences of inserting the cable in the wrong socket would likely be, to determine why the PMIC did not prevent that damage, has failed or bricked itself, or whether it could or should have done something else.